You may have heard that drinking a lot of water every day is really good for you. Yet you probably haven’t heard why it’s so beneficial to your health, or why, if you need to stay hydrated, any drink won’t do the trick. It’s true that your body needs a lot of fluids to keep you alert and feeling your best. The problem with drinking anything other than water is that any other kind of drink will have tons of added sugar and other nutrients you just don’t need in excess. Here are three reasons why drinking one gallon of water a day is definitely a habit worth trying. We will also discuss ways you can work your way up to drinking more water every day even if you don’t usually drink that much. If you have ever had one of those days when you are just too distracted and burned out to get anything done, you know how frustrating it can be to find a solution. Drinking a gallon of water every day might actually be the ‘simple’ fix you are looking for. Drinking lots of water reduces fatigue, which is one of the early signs of dehydration. When you are feeling energized, you are much more capable of thinking clearly, making the best decisions and getting things done. It’s not meant to serve as a substitute for food and rest, but it does keep your body’s systems functioning properly and ensures you will not fall pretty to the negative effects of dehydration. When you’re starting to get sleepy in the afternoon and think about grabbing more caffeine to wake you up, try going for some water instead. You will most likely find that to be much more effective than dumping more caffeine into your system, especially 12 hours later when it’s still pulsing through your veins and you can’t sleep. In general, we have a habit of drinking more calories than we consume by eating food. That’s because drinks like sodas and specialty Starbucks mixtures are full of empty calories: they don’t actually fill you up. You might end up drinking more calories in one sitting than you normally eat at a meal and not even realize it. Of course, consuming that much excess fat and sugar, before you even get to your next meal, is a major cause of weight gain. If you are eating healthfully, but can’t figure out why you aren’t losing weight, this might be why. 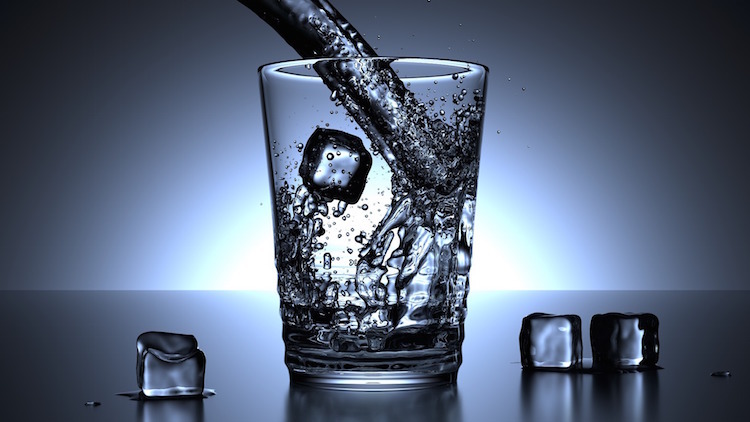 The more water you drink, the less likely you are to gain weight without trying. This is because you are much less likely to consume excess calories both from food and from beverages that contain a lot of sugar and calories. Do keep in mind that water doesn’t contain calories at all, so you can’t just drink water instead of eating regular meals and expect results. What this evidence means is that you should drink a glass of water when you think you are hungry for a not-so-healthy snack, just in case it turns out you just had a craving for cookies but weren’t actually hungry. Drinking one gallon of water a day has the potential to, over time, help prevent you from getting seriously sick. When you’re not feeling your best, it’s that much harder to balance other parts of your life regardless. Evidence has shown that drinking a lot of water can prevent certain kinds of illnesses and conditions, such as urinary tract infections, kidney stones and constipation. It’s also good for heart health. Your body needs a certain amount of fluid to keep your blood pumping throughout your circulatory system. If you make drinking more water part of your daily routine, you are much more likely to stay healthier, both day-to-day and in the long-term. Not drinking enough water has harmful effects, too. You actually crave more sugar when you don’t drink enough water, which explains one reason why it’s so good for you. Carry a reusable water bottle with you and make a point to refill as often as you can throughout the day. Allow yourself one less healthy drink per day and substitute the rest with water. So if you need a nice sugary cappuccino to wake you up in the morning, and usually have two or three more by the end of the day, allow yourself that one treat, then drink water the rest of the day. Drink water when you go out to eat at restaurants. Why not? It’s free. Try to drink water with every meal, while you’re at it. Stay away from the fountain drinks. Resist temptation. Set goals for yourself and see how many times you can refill your water bottle throughout the day. Drink when you are thirsty. Then drink some more. Have your water with a little lemon to improve the taste. If you aren’t used to drinking a lot of water, it might be a big adjustment because you might not like how it tastes, so get creative. All this being said, remember that drinking water is not a magic, instant cure-all for every physical or mental ailment you might experience in any given day. If you are going to set a goal to drink a gallon of water every day, do it for the right reasons. Make it a point to enhance your health, but don’t expect changes within a day. The changes you will notice over time, if you want to try drinking a gallon of water every day, are not standard, meaning they will be different for every person. Whether you try this or not really depends on what you are hoping to get out of it. Drinking a lot of water can be a great supplement to a healthy lifestyle, but you should be prepared to pair that with other lifestyle changes too if you want to really be healthier.